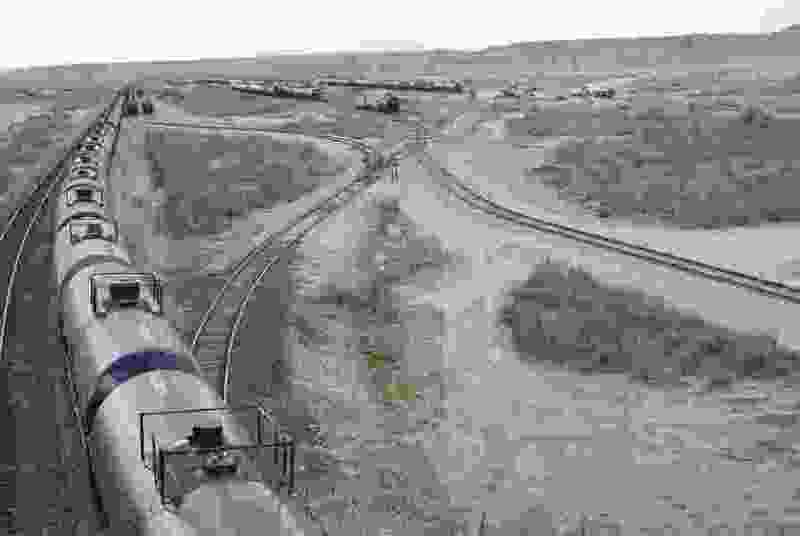 Brian Maffly | The Salt Lake Tribune The Green River Terminal in Wellington this year began trans-loading oil from trucks to rail cars, opening a new path for Uinta Basin crude to reach out-of-state markets. But environmentalists are concerned about what they see as a lack of regulatory oversight for this and two other new oil terminals in Carbon County. Once again, the pro-industry men’s club known as the Seven County Infrastructure Coalition (SCIC) is planning to use millions of public dollars to bankroll private energy interests. Last time, the SCIC wanted $53 million for an export terminal in California to move Utah coal. Now it wants — and has been conditionally granted — $27.9 million for a railroad to move Uinta Basin crude to out-of-state refineries. Yet again, the SCIC is siphoning this massive sum out of the accounts of the Permanent Community Impact Fund Board, or CIB — a public institution whose mandate is to help Utah communities alleviate the impacts of resource extraction, not to finance more extraction and create even more impacts. Notably, $27.9 million is more than five times the $5 million maximum typically set by the CIB for project grants. This is as unsurprising as it is unfortunate. The SCIC, which is funded almost entirely by the CIB, was created for precisely such a purpose: to promote and finance oil, gas and mining infrastructure at all costs. And the costs are remarkable: unbreathable air, poisoned water, destruction of wilderness, global climate catastrophe — to name a few of the big ones. The proposed Uinta Basin Railway would cost an estimated $1.4 billion and would connect Uinta Basin wells and mines to refineries and markets outside the state, like those along the Gulf Coast. In turn, this would enable the development of yet more wells and mines in the Basin, where the air is already dangerously polluted from oil and gas development. Proponents of the project say it could enable production there to increase up to 300,000 barrels a day. For reference, in 2017, the entire state of Utah produced about 94,000 barrels per day. And it’s not just new conventional oil drilling that this would help open up; it’s also infamously dangerous, dirty and extreme forms of extraction, like fracking, tar sands and oil shale. In clear violation of the CIB’s core mission — “to mitigate socio-economic impacts resulting from natural resource development on federal lands” — in November the board agreed to grant the funds for the railway, providing an initial $6.5 million to the SCIC, with continued funding contingent on the coalition meeting certain project milestones. This was done despite serious concerns expressed by members of the CIB itself that, among other problems, funding the project might not even be legal under state law. We live in a time of political, ecological and social crisis, and the scale of the change we must make is huge and unsettling. But this change must happen. It already is happening. And it must begin at home, in our communities, our cities and our public institutions. Change is coming. What that change looks like is up to us.